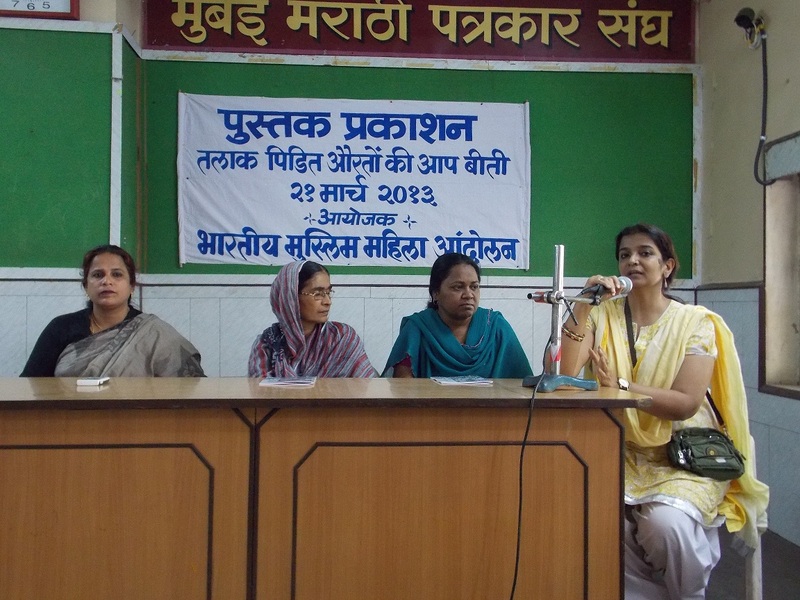 Through a press meet 21 March 2013, BMMA released a book which is a collection of 68 case studies of women who have been orally divorced by their husbands. The book is titled ‘ Stories of Triple Talaak and Indian Muslim Women’. The book was released in Jharkhand, Gujrat, Maharashtra, Rajasthan and Odisha. It contains 68 heart rending case studies of Muslim women who have been orally and unilaterally divorced by their husbands. With this book, BMMA reiterates its demand for a ban on this practice and gives a call for codification of Muslim family law. On 25th April, the book will be released in West Bengal.